Anton has a 7th grader and 3rd grader at DKFI. Anton was PTA Treasurer for the 2017-18 school year, and PTA Secretary for the 2016-17 school year. Halima is mother of three--2 current DKFI students in 6th and 8th, as well as a DKFI alumna in high school. She uses her background in education, writing, and French to help serve our DKFI community. Anna has a 1st grader at DKFI. As VP, Anna represents the interests of elementary school parents. Hanaa has a 3rd grader at DKFI. She coordinates our membership efforts and keeps up with PTA meeting documents. Nancy has a 2nd grader at DKFI. Nancy keeps track of all PTA finances and writes the monthly treasurer report for members. Originally from France, Mme Boukabara has taught French in the United States for many years. She has worked at Dora Kennedy French Immersion for over 10 years--first as a teacher, and now as the instructional coordinator. 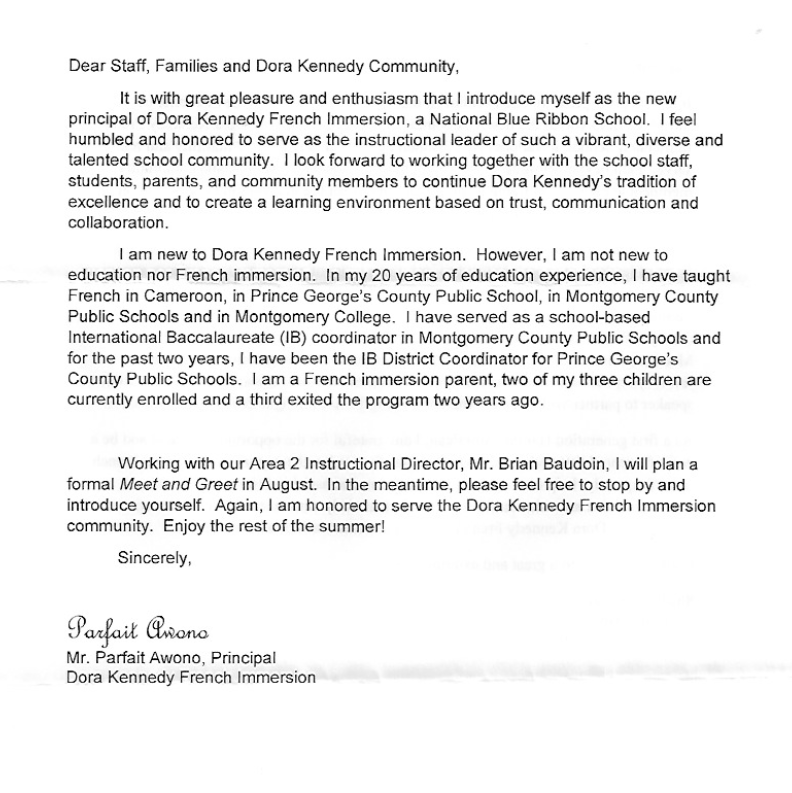 In additional to teaching, Mme Boukabara has also helped translate numerous educational documents into French for PGCPS. She is a mother of 3 DKFI alumni.